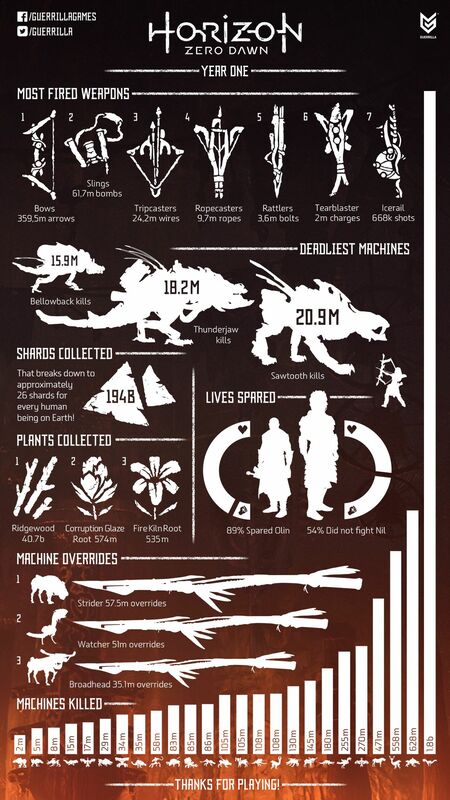 Guerrilla Games releases a bunch of stats, detailing machines killed and weapons used. 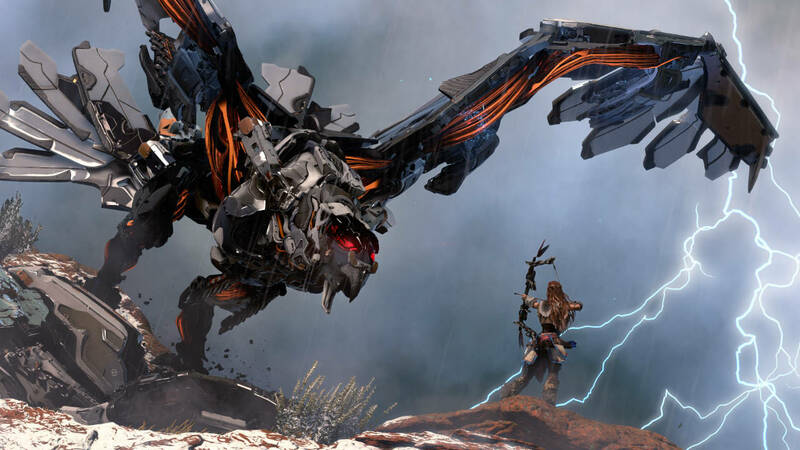 Guerrilla Games’ Horizon: Zero Dawn launched more than a year ago and despite being a brand new IP, it crossed 7.6 million in sales recently. 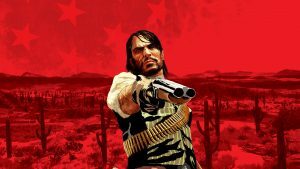 To celebrate this milestone and the game’s first year anniversary, Sony has released a video celebrating the game’s many highlights. We also get a fair number of stats showcasing what weapons players have been using most, the machines destroyed and much more. Along with 359.5 million arrows, players have fired 2 million charges using the Tearblaster and 668,000 shots with the Icerail. 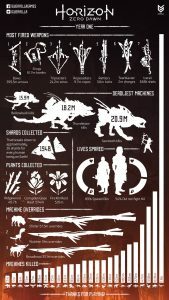 Bellowback kills number 15.9 million while Thunderjaw kills are 18.2 million and Sawtooths make up 20.9 million in kills. Of course, if we’re talking about the machine that’s had the most of its type killed, then the award goes to the Watcher with 1.8 billion kills against it. 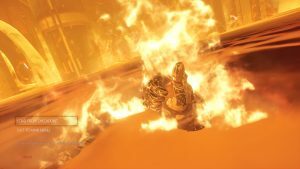 Horizon: Zero Dawn has received a number of updates since launch including New Game Plus, Photo Mode and cosmetic options. 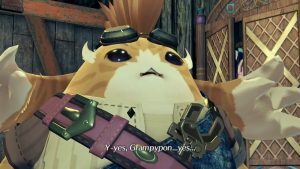 Its DLC, The Frozen Wilds, also expanded on the base game with new quests, characters and a new area.